In Costa Rica food is one aspect that you’d love to explore. As opposed to the western world, processed food is not the kind you will get to eat here. The special thing that makes Costa Rican food so special is the usage of fresh natural ingredients. If you’ve set foot in Costa Rica already, or of your trip is just around the corner, here is some popular food in Costa Rica that you must try. There are lots of other recipes also that you’d much like to try, but here are what we think are the 9 best. 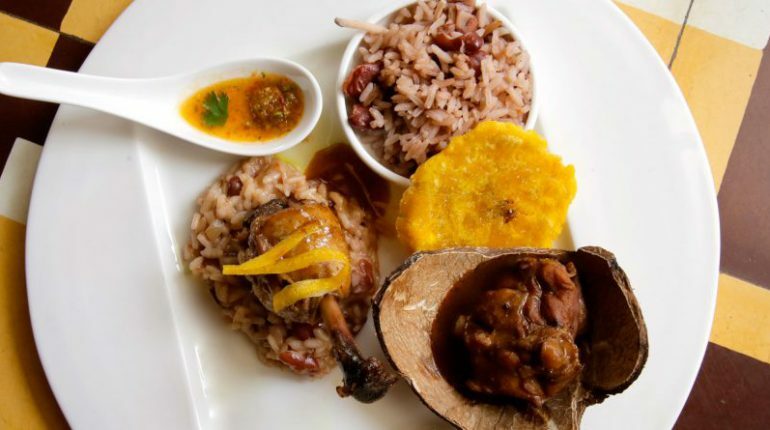 You’d love to start your supper with Costa Rica traditional food. It’s a delightful soup for the vegetarians and also for those who like it gluten-free. It is a great combination of, yes, black beans, tomatoes, onions, cilantro, peppers, Tobasco sauce, and rich spices. It’s nothing like its Mexican namesake. These are garlicky and the best thing is that they are served wrapped in banana leaves. You can have them as an entire meal, but Costa Ricans also serve it as breakfast teamed with beans. This is one deep fried delicacy. It’s eaten as a snack. They flatten the plantains and deep fry them. This appetizer is seasoned with a dash of sea salt and is paired with pico de callo (fresh salsa). While the westerners may consider it stew, it is beef soup for the Costa Ricans. It is one Costa Rica food that rules the weekends. One can prepare it all year round. The stew/soup can cause an explosion of flavors in your mouth. You will get to eat it with beans and rice (no surprise). This is the most famous Costa Rican dessert by far – a delicious egg custard that hails from Rome. Everyone loves it even outside of Costa Rica. Chifrijo is a snack/meal (you decide) that is widely available and people just love it. It is beans and fried pork rinds together (chicharrones and frijoles), which you will see in your plate. Eat it with bread, tortillas, tortilla chips, whichever you like. It’s a pretty much loved Costa Rica food that is actually a combination of a number of dishes. Casado means marriage and that it what this dish is. So, when you order a casado expect this to be in your plate – rice and beans, of course, fried plantano maudro, chicken/beef/fish, tortillas, salad and more. A glass of fresh juice will never be missing. Yet another dessert, Arroz con leche is the mixture of rice and milk. But, of course, there is a Costa Rican way to cook it with sugar, cinnamon sticks, lemon zest and salt. Try this Costa Rica food and you will be glad you did.